The chalk dust fog of dominating favorites which once shrouded the Kentucky Derby Trail has fully cleared, with two consecutive unpredictable turns taking us on roller coaster-like loop de loops. In the wake of Bravazo‘s front-running win at 21/1 odds in the Grade 2 Risen Star Stakes in mid-February, followed by Promises Fulfilled‘s gate-to-wire upset win at 18/1 odds in the Grade 2 Fountain of Youth Stakes this past Saturday, Derby fans are scrambling for normalcy and consistency. The results of the first two Kentucky Derby Championship series races, which award points on a 50-20-10-5 scale, were similarly unforeseeable, with early speed holding throughout each race. Both could be labeled as “boat races” or merry-go-rounds, with horses unable to pass and the majority of the running order remaining the same throughout the running of the race. With results like these early along the Derby Trail, have we learned anything that we can use to help handicap the next set of Derby preps, or even the Kentucky Derby itself? We’ll analyze these trends here with an eye to the next set of preps and an early look at the pace of the Kentucky Derby. When evaluating Bravazo’s Risen Star win, it should be noted that Fair Grounds was favoring early speed throughout its cards that weekend. If you were following the track bias closely, Bravazo’s win wasn’t totally unexpected. He set up shop early and often to the outside of eventual runner-up Snapper Sinclair before nosing him out at the wire, but these two set the pace and were never threatened. The real surprise of the Risen Star was that more highly-regarded horses, like the Grade 3 LeComte Stakes winner Instilled Regard and the Todd Pletcher charge Noble Indy, were unable to make up any ground late. Noble Indy was only able to ride the inside to a third-place finish, while Instilled Regard was a bit wide settling for a dull fourth. The same winning formula used in the Risen Star was utilized in the Fountain of Youth. Promises Fulfilled rode the rail after clearing the field quickly from his outside post 10 draw and never looked back. Once again, a more accomplished horse (the Breeders’ Cup Juvenile champion Good Magic) was unable to make up any ground late. Good Magic wasn’t even able to run down the runner-up, Strike Power, a horse that was stretching out to two turns for the first time in his career. Like the Risen Star, both Promises Fulfilled and Strike Power were propelled forward by a possible speed bias, as Strike Power stayed flanked to Promises Fulfilled in the two-path for the whole race. Good Magic, however, was parked to the outside of Promises Fulfilled and Strike Power in the three-path and finished a flat third. Maybe the champ was short off of a four-month layoff, or maybe the inside bias was so strong on Fountain of Youth Day that Good Magic just couldn’t overcome the “conveyor belt” that Gulfstream often becomes. To give some credit to Promises Fulfilled and Strike Power, though, maybe both are very good horses and can continue to develop towards the Derby, while Good Magic peaked in the Breeders’ Cup Juvenile. Only time will tell. It should be noted that Machismo and Marconi made up ground late to finish fourth and fifth in the Fountain of Youth, unlike the Risen Star where no horses were making up ground late in the race. As handicappers, we can’t dwell on the past. We must learn from what occurred in previous races and predict if similar results will continue. 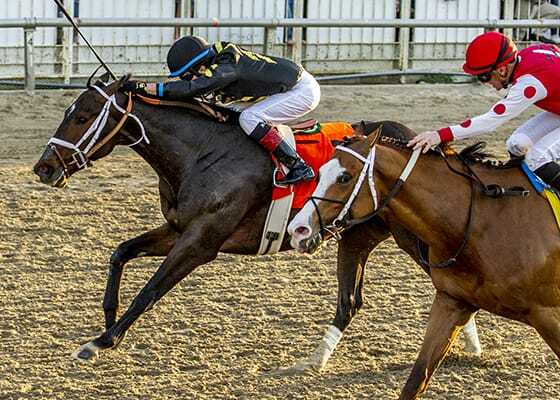 With Hall of Fame trainers D. Wayne Lukas and Steve Asmussen pointing their pupils Bravazo and Snapper Sinclair, respectively, back to Fair Grounds for the Grade 2 Louisiana Derby on March 24, will the results in the Risen Star be repeated? It’s likely that Noble Indy will also return to Fair Grounds, and he could be more forwardly-placed this time around so as to not let Bravazo and Snapper Sinclair get away with moderate fractions. The Risen Star opening 1/4- and 1/2-mile fractions clocked in at :24.15 and :47.96, respectively. As shown on the Derby Trail Tracker (which is constantly updated with probables for upcoming Derby points races), multiple graded stakes winner Avery Island is another horse pointing to the Louisiana Derby. The son of Street Sense went gate-to-wire in his maiden-breaker and Grade 2 Nashua wins, then sat off of a rabbit pace setter in his Grade 3 Withers Stakes victory in early February. Avery Island does his best running on the front end and will likely be forwardly-placed for trainer Kiaran McLaughlin, further adding to the Louisiana Derby pace. Bravazo, Snapper Sinclair, and Noble Indy will need to prove themselves at the longer 1 1/8-mile Louisiana Derby, while Avery Island won the Withers and was a good second in the Grade 2 Remsen Stakes at that distance. In Florida, trainer Dale Romans was quick to say after the Fountain of Youth that Promises Fulfilled would try to repeat his feat at the same track in the Grade 1 Florida Derby on March 31. Trainer Mark Hennig said that he’d continue stretching Strike Power out around Gulfstream, the only oval on which he’s ever raced. If the leaders are able to set similar early factions of :23.80 and :48.39, then repeat results are likely. 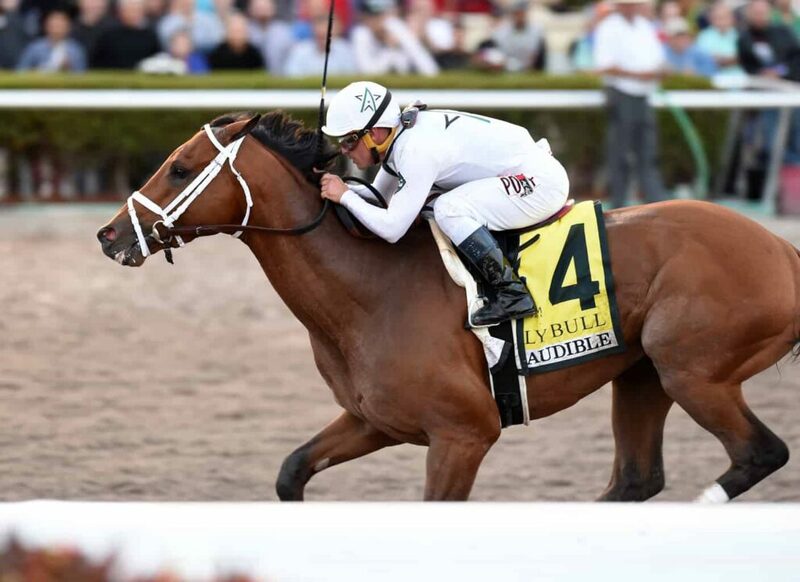 With trainer Chad Brown opting to likely send Good Magic to the Grade 2 Bluegrass Stakes, the Grade 2 Holy Bull Stakes winner Audible will be the main threat to Promises Fulfilled and Strike Power in the Florida Derby. Audible will attempt to repeat his thrilling Holy Bull performance at Gulfstream, as Pletcher has been pointing him to the Florida Derby since the beginning of February. Audible will likely stalk the top two finishers of the Fountain of Youth and hope they falter while stretching out to the 1 1/8-mile distance of the Florida Derby. 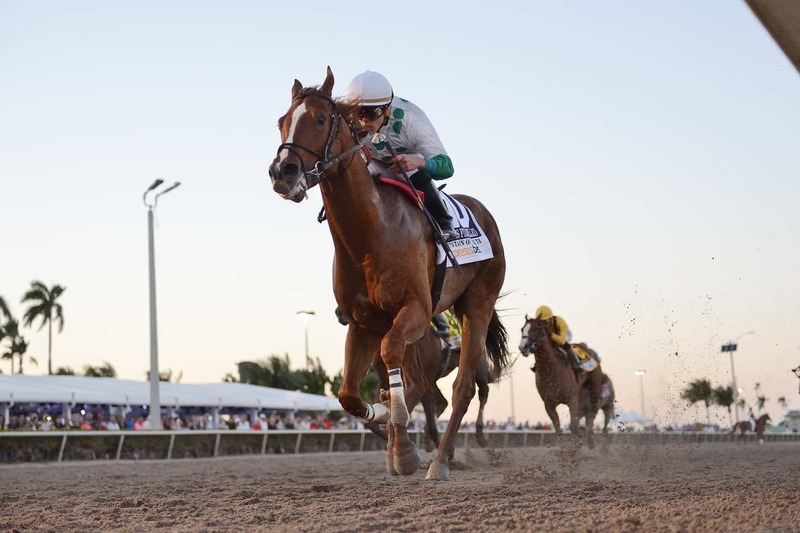 Trainer Jonathan Thomas just announced that he will run the Remsen winner, Catholic Boy, in the Grade 1 Florida Derby on March 31, but he is not likely to add speed to the early pace. If the pace heats up in the Florida Derby, though, Catholic Boy may be the main beneficiary. One last note to demonstrate the similarities and slower paces of these first two Championship Series races: the first 6 furlongs of the Risen Star was run in 1:12:85, while the Fountain of Youth finished in 1:12:60. These are moderate-to-slow times for the caliber of these horses going 1 1/16 miles. It’s still very early to start this analysis, but we can begin putting together the first puzzle pieces of the Kentucky Derby pace, as we may know two entrants in the field already. By winning these first two races in the Championship Series, Bravazo and Promises Fulfilled each clinched spots in the Kentucky Derby starting gate. If both stay healthy, then they will be prominent in the early pace scenario of the Run for the Roses. We’ll get more clues if they’ll be able to sustain their front-running speed at longer distances in the Louisiana Derby and Florida Derby before they get to the Churchill Downs gate. If you’ve read my Kentucky Derby Pace Thesis the past two years, then you know the importance of the Brisnet running styles for predicting the Derby pace. The importance of horses rated with an “E8” running style is extremely important, and both Promises Fulfilled and Strike Power have been rated with “E8” running styles after the Fountain of Youth. As “need to lead” types with an abundance of early speed, they’ll likely be “winging it” on the front-end under the Twin Spires in two months, if they can both stay healthy and Strike Power is able to earn enough points in the Florida Derby to make the starting gate. With Bravazo able to show an early turn of foot and having already clinched a spot in the Derby gate, it isn’t tough to foresee him pressing Promises Fulfilled in front of 160,000 fans at Churchill Downs. Meanwhile, Strike Power and Snapper Sinclair are sitting with 20 and 22 points, respectively, on the Derby leaderboard, so they need only to finish third in their final points races to guarantee a spot in the Derby gate. It’s still so, so early, but after the first two Championship Series races, is it so unrealistic to think that we could see Promises Fulfilled, Bravazo, Snapper Sinclair, and Strike Power breaking out of the Derby gate and jockeying for position into the first turn at Churchill? If the Kentucky Derby ends up like the Risen Star and Fountain of Youth merry-go-rounds, maybe that’ll just be the superfecta! For more updates and shocking opinions on the Derby Trail, follow me on Twitter @SaratogaSlim as we inch closer to the first Saturday in May!